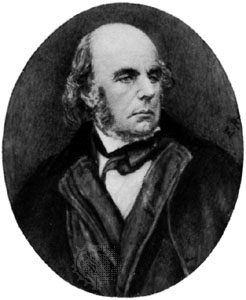 Edward FitzGerald (1809 - 1883) was an English author and poet, best known for the first and most famous English translation of The Rubaiyat of Omar Khayyam . He was born Edward Purcell, but his father, John Purcell assumed the name and arms of his wife's family, FitzGerald. An amusing side-note: apparently Edward thought all of his relatives were mad, and that he was also insane, but at least he was aware of the fact. FitzGerald led a privileged life, growing up in both England and France, then attending Trinity College, Cambridge, where he became friends with Alfred Tennyson and William Makepeace Thackeray, but did not show much interest striving for their literary success. FitzGerald's first book was about his happy life at Cambridge titled Euphranor, a Platonic dialogue in 1851. Fitzgerald began to study Spanish poetry and Persian literature, which eventually led to the highly influential masterwork in which he translated thousands of poems attributed to Omar Khayyám (1048–1131), a Persian poet, mathematician and astronomer. 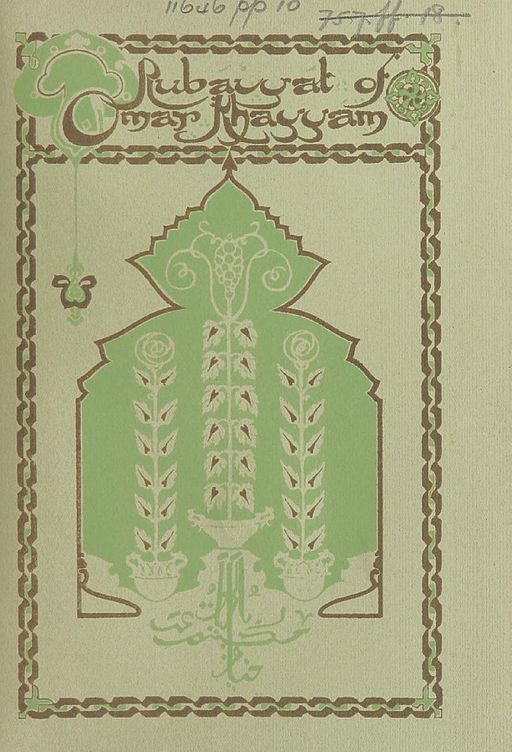 FitzGerald's The Rubaiyat of Omar Khayyam was published in five editions beginning in 1859 to 1889 (the last was posthumously). We feature his poems From Omar Khayyám and Old Song.